This notice summarizes the ways we may use and disclose medical information about you. It also describes your rights and our duties regarding the use and disclosure of your medical information. This notice applies to all records of your care at Swisher Memorial Hospital, whether made by hospital personnel or by your personal doctor. Your doctor and other health care providers may use a different notice and policy regarding the use and disclosure of your medical information in their offices. 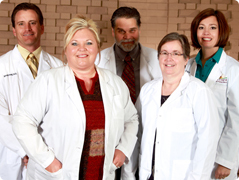 When we use the word "we" or "Hospital" we mean Swisher Memorial Hospital, the Medical Staff of Swisher Memorial Hospital, medical professionals and other parties who assist us in our business. Note: Texas and Federal Law provide protection for certain types of health information, including information about alcohol or drug abuse, mental health and AIDS/HIV, and may limit whether and how we may disclose information about you to others. Minors. If you are a minor (under 18 years old), the Hospital will comply with Texas law regarding minors. We may release certain types of your medical information to your parent or guardian, if such release is required or permitted by law. If you believe your privacy rights have been violated, you may file a written complaint with the Hospital or with the Secretary of the Department of Health and Human Services or HHS. Generally, a complaint must be filed with HHS within 180 days after the act or omission occurred, or within 180 days of when you knew or should have known of the action or omission. To file a complaint with the Hospital, contact the Medical Records Director at 806-995-3581. You will not be denied care or discriminated against by the Hospital for filing a complaint. If you have any questions about this Notice, please contact the Medical Records Director, by calling 806-995-3581.